Home / News / Politics / Why did Cory Aquino remove Miriam Santiago from her Cabinet as Agrarian Reform Sec? 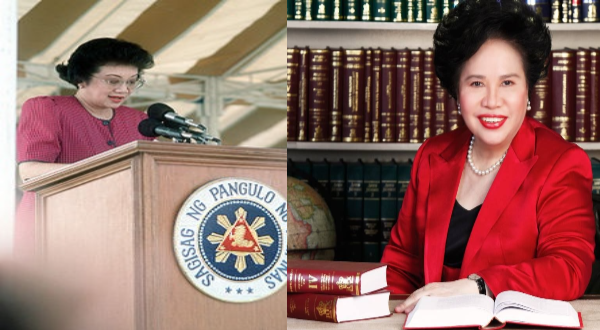 Why did Cory Aquino remove Miriam Santiago from her Cabinet as Agrarian Reform Sec? Facebook blogger and owner of the Facebook page “For the Motherland”, Sass Rogando Sasot reminds us that Senator Miriam Defensor once was removed from the Cabinet as Secretary of Agrarian Reform after remarking on the position of former president Cory Aquino as chair of the Presidential Agrarian Reform Council in public. On her Facebook post, Sasot shared an article of GMA News Network where Defensor mentions the truth behind her banishment in 1989 from the Cabinet, a righteous insubordination that got her fired. An insubordination that rooted her logical reasoning on the inequitableness of person that owns the hacienda being the one who also regulates it. It was also stated that Santiago called out Luisita’s Stock Distribution Option to be unconstitutional, “The general rule is for land to be taken away from the landlord and given to the farmers. Why should there be an arbitrary exception for the Cojuanco hacienda?” Santiago said. Corazon Aquino removed Miriam Santiago from the Cabinet, as Secretary of Agrarian Reform, after she told the press that Cory should inhibit as chair of the Presidential Agrarian Reform Council, which would decide the future of Hacienda Luisita.